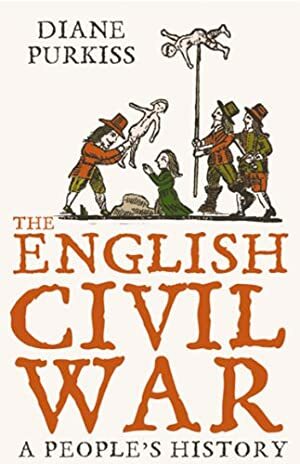 This popular history of the English Civil War tells the story of the bloody conflict between Oliver Cromwell and Charles I from the perspectives of those involved. The compelling narrative draws on new sources such as letters, memoirs, ballads and plays to bring to life the Roundheads and Cavaliers, the foot soldiers, war widows and witchfinders of one of the most significant turning points in British history, culminating in Oliver Cromwell's triumph and the execution of Charles I. By blending the political and the personal, Diane Purkiss illuminates both the ideologies behind the English Civil War and the fears of those who fought in it; the men who were destroyed by the conflict and those, such as Oliver Cromwell, who were defined by it. Track It. This book has been £6.49 within the past year. Log In to track Diane Purkiss on eReaderIQ. to be notified each time the price drops on any book by Diane Purkiss. to stop tracking Diane Purkiss. We started tracking this book on February 7, 2013. The price of this book has changed 63 times in the past 2,268 days. The current price of this book is £6.99 last checked 7 hours ago. This lowest price this book has been offered at in the past year is £6.49. The lowest price to date was £2.99 last reached on June 18, 2015. This book has been £2.99 3 times since we started tracking it. The highest price to date was £10.99 last reached on January 13, 2019. This book has been £10.99 one time since we started tracking it. We last verified the price of this book about 7 hours ago. At that time, the price was £6.99. This price is subject to change. The price displayed on the Amazon.co.uk website at the time of purchase is the price you will pay for this book. Please confirm the price before making any purchases.